Dance Commentary by Heather Desaulniers: "Alla Osipenko: Beauty and Resistance in Soviet Ballet"
"Alla Osipenko: Beauty and Resistance in Soviet Ballet"
Biographies may be a common literary genre, but writing a good biography is not an easy task. There’s the responsibility side - communicating an individual’s life is both a privilege and a serious charge for any author. But there’s also the structural/formal side to a biography. There has to be more than just the reporting of facts or the relaying of a personal timeline; the real-life narrative has to have intensity. Joel Lobenthal’s current release from Oxford University Press gets both parts right. 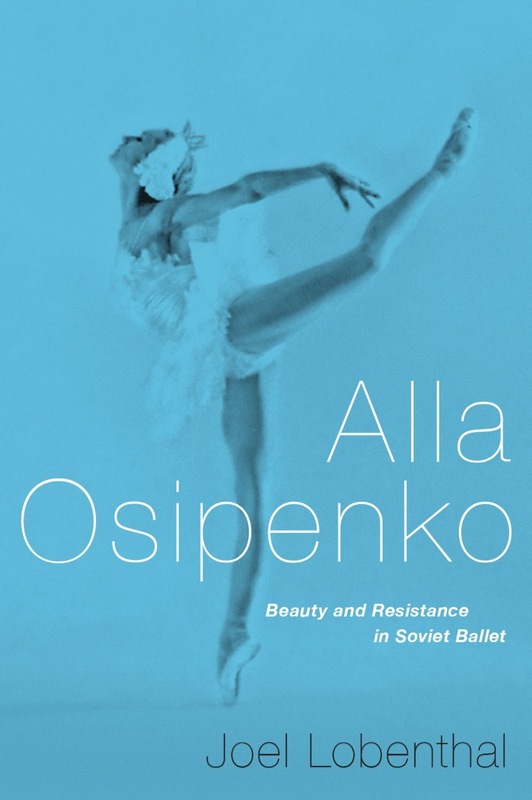 Alla Osipenko: Beauty and Resistance in Soviet Ballet is a thoroughly researched, expertly crafted biography, full of care, endearment and attention. And structurally, the book weaves and connects the personal and professional aspects of Osipenko’s life with acumen and verve. Upon finishing the 250-page book, Lobenthal has taken the reader on an expedition, one where they have glimpsed into this famed artist’s experience, what informed her career and the life choices she made. Part Two reveals and explores these challenges; a season of turbulence in Osipenko’s personal and professional life, and describes the Kirov Ballet’s climate during the 1950s/1960s where politics seemed to inform everything. Beginning with Nureyev’s defection, the reader gains a better understanding of the cloak under which Osipenko danced and how many different factors directly (and often negatively) affected her career. Lost opportunities leap from the pages in these twenty chapters, not only about this passionate ballerina who was brave enough to stand behind what she believed to be right, but also about the complex woman who was in love with being in love. One of the saddest stories lies in the last chapter of this middle section – a punitive and deliberate decision made by the company administration to cast this star ballerina as a village corps member in Giselle. After a string of these kinds of career demotions, disappointments and humiliations, Lobenthal brings Osipenko’s resignation and final performance (a dramatic story itself) to the table in Part Three of Alla Osipenko: Beauty and Resistance in Soviet Ballet. Leaving the Kirov, her and her husband joining a new company, dealing with new but familiar issues of artistic control, her eventual move to the Hartford Ballet in Connecticut and her return to Russia. In this final section, the reader encounters the best portion of the book, chapter 32, entitled ‘Artistic Credo’. Touching and thought provoking, this penultimate chapter reads like a postlude – a beautiful reflection on ballet, culture, living and humanity. 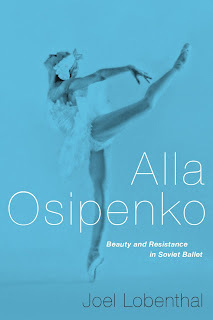 If you are looking for a new dance biography to read this spring, Alla Osipenko: Beauty and Resistance in Soviet Ballet by Joel Lobenthal is a great choice. Academic yet accessible, the book tells a compelling and engaging story - the true story of a celebrated ballerina’s distinct journey onstage and off.